What types of fishing permits can be obtained in California? Sport fishing license in California. California fishing license value in Walmart. Online application for a fishing license. California license for fishing in freshwater. Some interesting facts about fishery in the USA. The North American continent has always been famous for its rich flora and fauna. California rivers are abundant of fish without speaking about the ocean. There are nearly 1,500 of only fresh water species, and 200 fish types are the objects of sport fishing. California’s hydrography is very diverse – the state has both turbulent mountain rivers and small salt lakes between the deserts. The most famous fishermen places include Lake Tahoe, Lake Berryessa, Lake Shasta, Kern River, the Sacramento – San Joaquin River Delta. The weather is the most sutaible for fishing in Pacific waters in the Los Angeles area is from April till October. You will have a great chance to harvest redfish, tuna, dorado, giant yellowtail, halibut, trout, shark. Are you a fan of fishing? Then California has everything to make this activity comfortable and catchy. However, they have strict rules regulating fishing in the USA. The fishing activity can be of two kinds: fishing on freshwater bodies and in the saltwater from boats, and in the ocean from the piers. For the first fishing category you need an official permit. And pier fishing is allowed free of charge, all you need is tackle. No any payment or document is required. Just enjoy catching from any public pier. So, preparing for fishing, it is recommended to study the laws and regulations governing recreational fishing industry in the United States. You will not find a uniform guide for fishing, each state has its own laws and regulations which are also briefly listed in reference books. The only compulsory and common rule for the whole country is an obligatory fishing license. Generally, you will be offered two types of documents allowing fishing in this US state: a sport or recreational fishing license and a license for commercial activity. Both licenses are being granted by the CDFW (abbreviation of California Department of Fish and Wildlife) or by their official agents. Any angler over 16 years has to purchase a sport license to be allowed to carry out any fishing activity. Sport fishing license is an obligatory document for any kind of fish in any type water reservoir. This variant of license is being issued by the government for the recreating purposes, so having a sport fishing license you are prohibited to use your fish catch to gain profit. This license allows you catching not only fish, but also collect shellfishes. It gives you permission to fish in freshwater and in saltwater. However, you must first learn what kinds of fish you can harvest – for many types of fish, you must buy an additional license, and some cannot be caught at all. This license option is meant for those angles who are involved in the fish trading or have other income from fishing. There is a narrow selection for the commercial type of license. The owner of this type of license should be ready to purchase additional permissions and stamps for certain fish species, such as tarpon and lobster. In addition, they must adhere to all the regulatory norms for the commercial purpose of fishing. Size and weight limits of a fish. Within these two main categories, there are a lot of variants of licenses to be selected. When you have finalized the relevant fishing license, you will be asked to submit the necessary official papers to confirm your name and residential address. You will not find a standard cost for a fishing license, price may vary due to many factors. There are discounts for annual fishing permits which are given by the government to disabled people, military personnel, elderly citizens with a low income, Native Americans, blind people. You should not forget that all 12-moth licenses are expiring at the end of December irrespectively of the buying date. Starting from beginning of 2017, the California authorities have stopped cash payments for fishing licenses purchases and other activities related to fishery. Anyone wishing to obtain licenses will have to pay for them with bank checks, money transfers, and electronic Visa / Mastercard at the local branch of the service (CDFW). A shipping license can be bought in each Walmart store. You just have to figure out what Walmart location is the nearest to you. 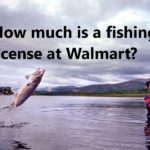 Final value of a fishing permit in Walmart store may be a different amount depending upon its duration and on the state fee where the current store is located. The USA laws allow each state to introduce its own fishing standards and norms and therefore the price of this allowing document can vary form one Walmart store to another around the country. You will be asked to prove your name and living address. Be ready to submit a valid ID document with a clear photo and any official document verifying your residential address. Then goes a form completion stage and after it payment for the license cost. Your actual residential status does not play any substantial role in purchasing a fishing license, it may only affect the final price of the permit. This method is fast and easy. This way you will receive a fishing permit in an instant. You just need to create your individual account providing your ID documents, make the payment for the shipping permit you choose and then a license copy will be sent to you by email and you can use it as an original document. The local government does not allow harvesting all fish species at any time you like. 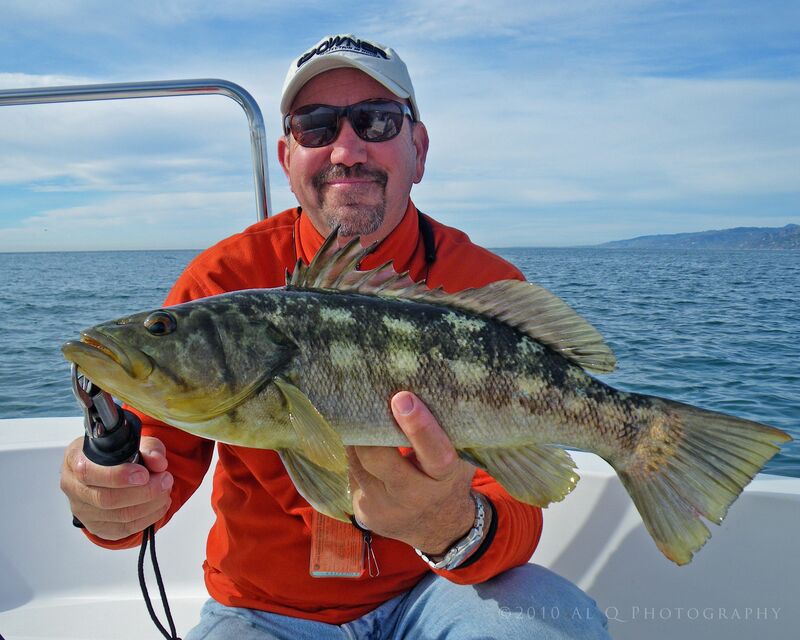 Salmon, Turbot, Lingcod, and Rockfish can be caught at certain time only. For many fish species there are official size and quantity limitations, so you should check California fishing instructions in advance if you plan to go fishing. Fishing in accordance with a local guide will help you fish responsibly, since the state has a lot of special regulations. All fishermen need to submit an annual report in a way of a special report card. This document is necessary only for some kinds of fish. This is an obligatory procedure even for the anglers who do not buy fishing permissions or belong to a category which can obtain a fishing doc with a discount. This rule is also valid for unpaid fishing from public piers. Every fisherman should prepare a report card and sent it to relevant authorities by end of January of the coming year. This report can be sent by post or email as well. You can freely fish from any public pier throughout California. All states regularly organize complimentary fishing days when no permits are necessary. If a fisherman is under 16 years then he may fish without any permitting documents but should follow all official regulations. An excise duty collected from each purchased fishing tackle item, each gallon of fuel and each bought license, is the funds which are sent to the Agency of the Protection of Wildlife, the main aim of which is preservation and restoration of fish. According to the US Association of Sport Manufacturers, fishing is ranked 11th among 45 activities related to active leisure time. It is far ahead of popular activities like bird watching, swimming, bowling, cycling and hiking. The turnover of the fishery can be compared with such industrial giants as Pepsi, Apple, Intel. Economic activity from recreational fishing exceeds the gross product of more than 20 states. America’s fishing industry provides one million of various jobs, exceeding the total number of staff of big companies like General Electric, Target, Home Depot. 600 thousand USD for preservation of fish and water environment through special tax policy. more than 45 billion USD in retail trade. 125 billion US dollars of full economical products. over 16 billion USD in various taxes.